"What I liked most about the class is that there are only 6 students and the instructor was a real perfectionist." "SBA was just what I needed to bring my espresso skills to a new level...Thank You SBA!" "Very fun class! Steven, our instructor, was energetic and knowledgeable; Robert, the owner, was wonderful. He was accommodating and ran the business professionally." "Awesome! They really appreciate their clients! The quality of the class is really high and I learned a lot! " 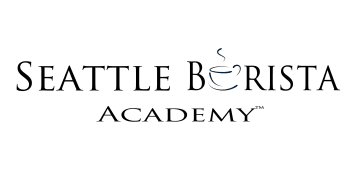 "Level of training at Seattle Barista Academy was fantastic! Christos pushed us to keep improving and I feel we're at a level that I have a solid enough foundation to continue our development of these skills. Awesome!" "Loved it! I had a great time with the whole team. Enjoyed every minute. The experience was above what I thought it would be. Love the program."